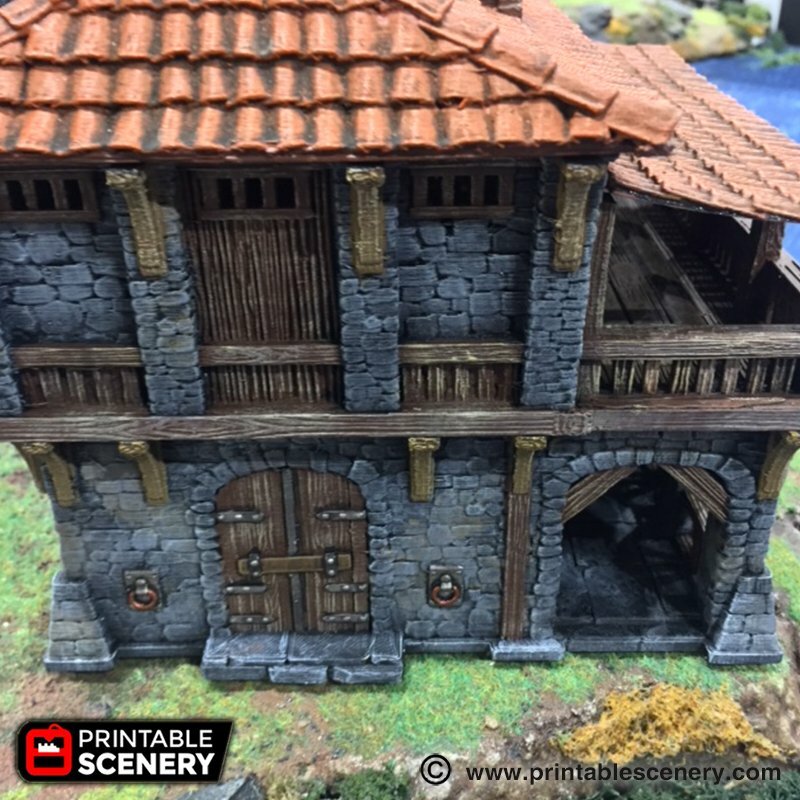 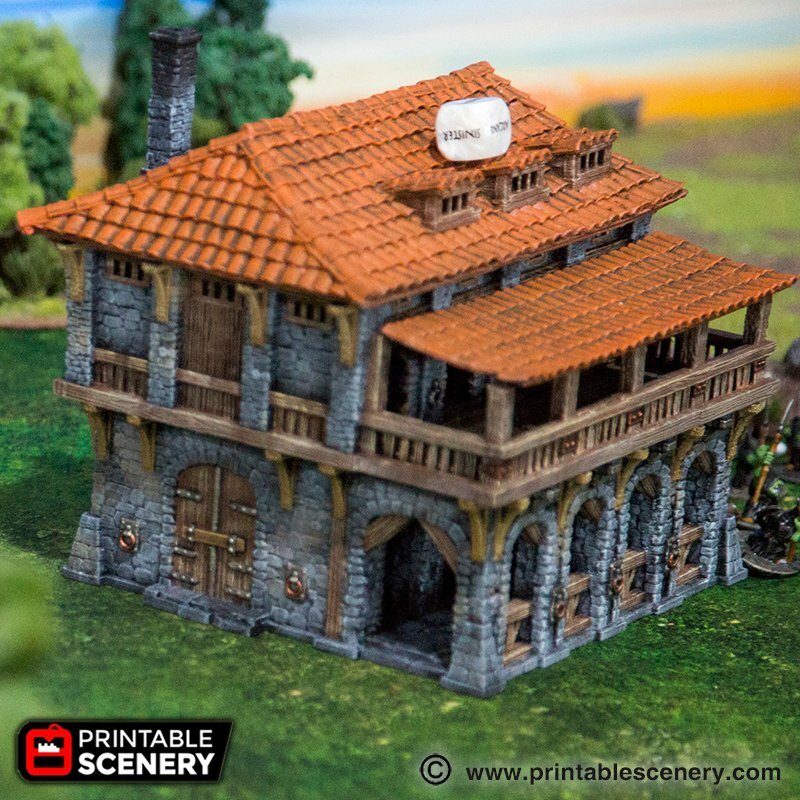 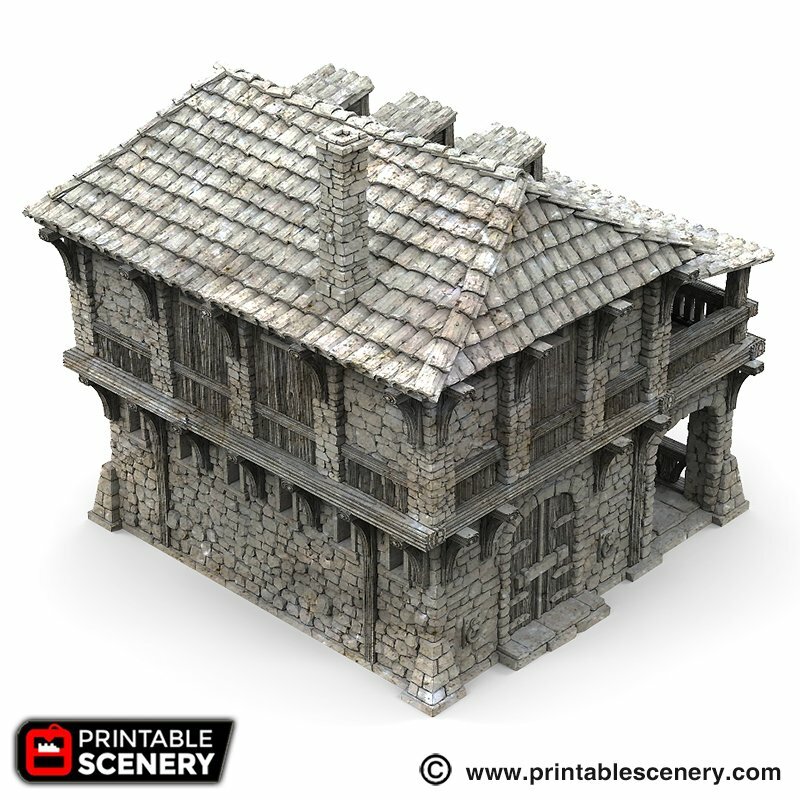 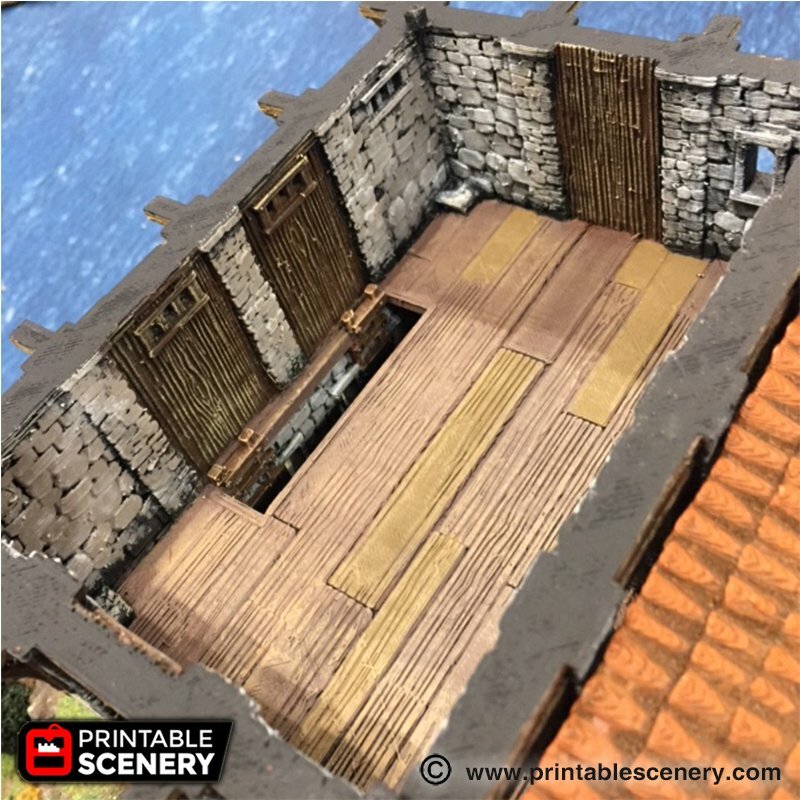 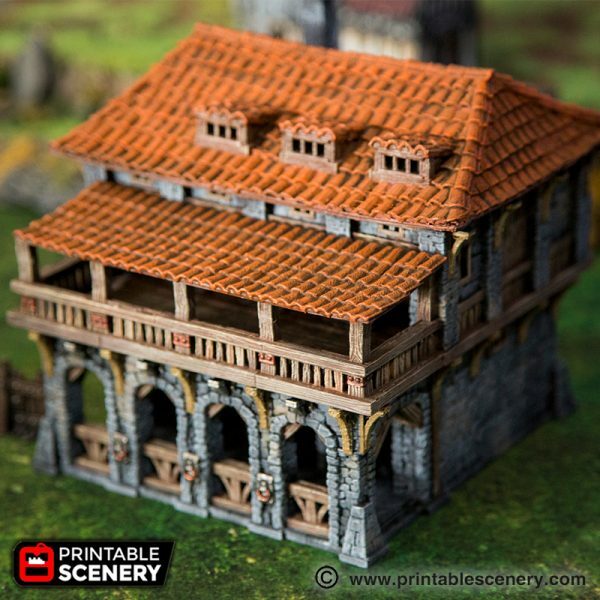 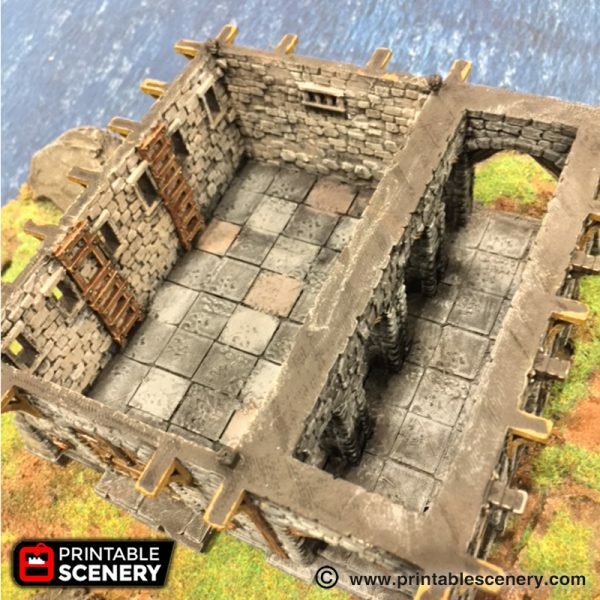 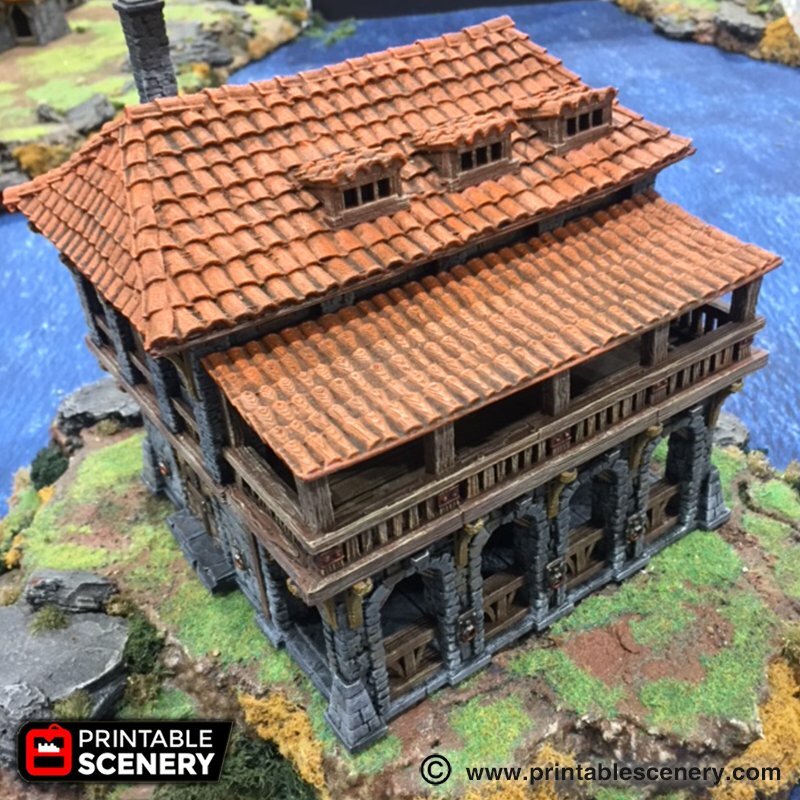 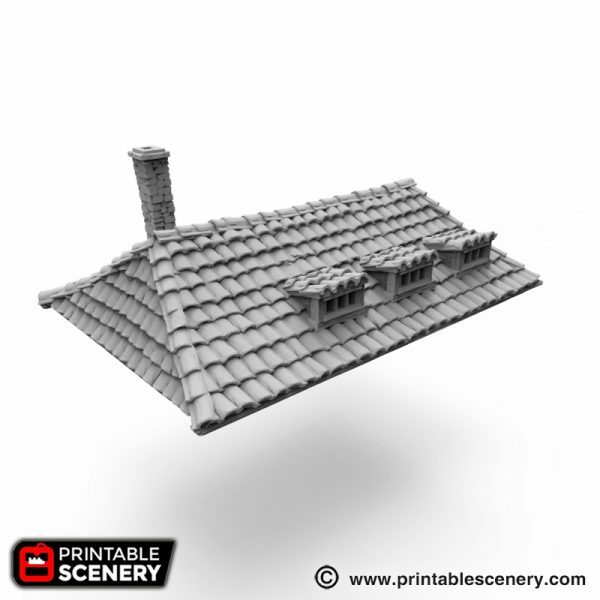 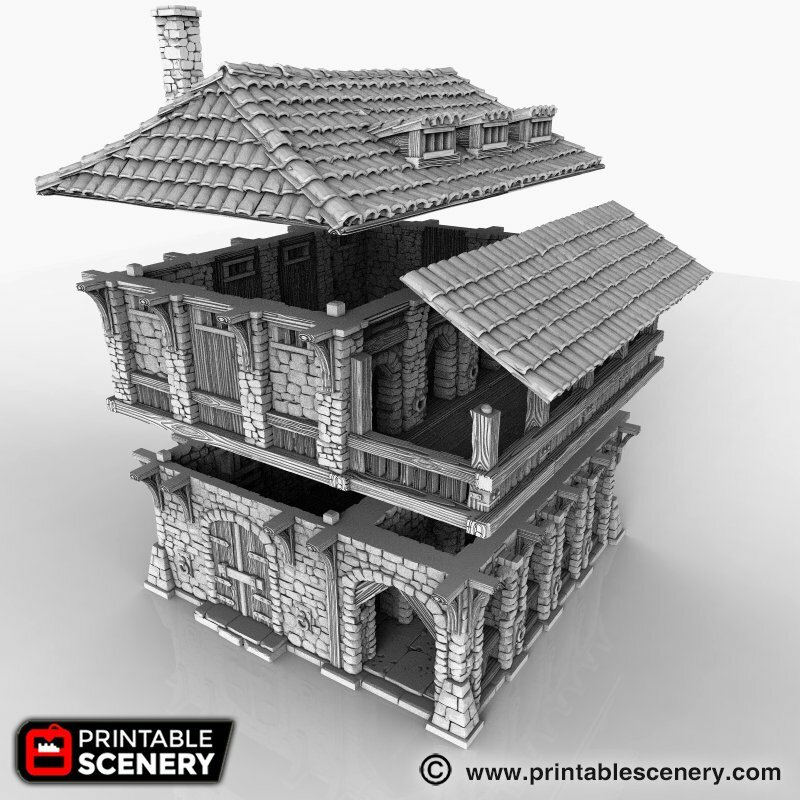 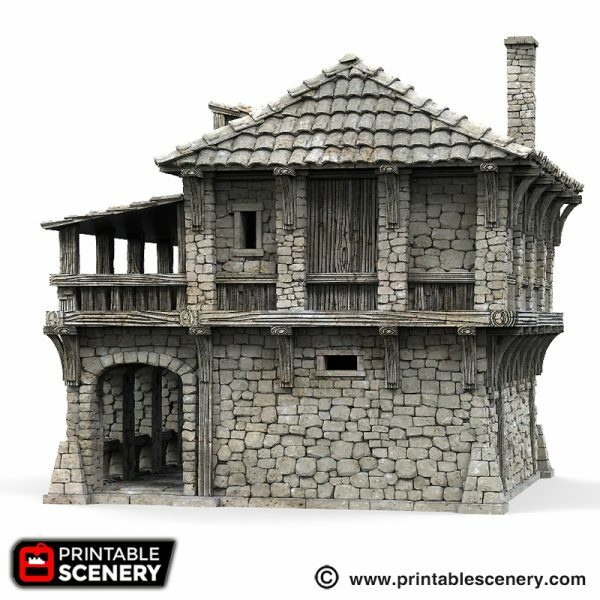 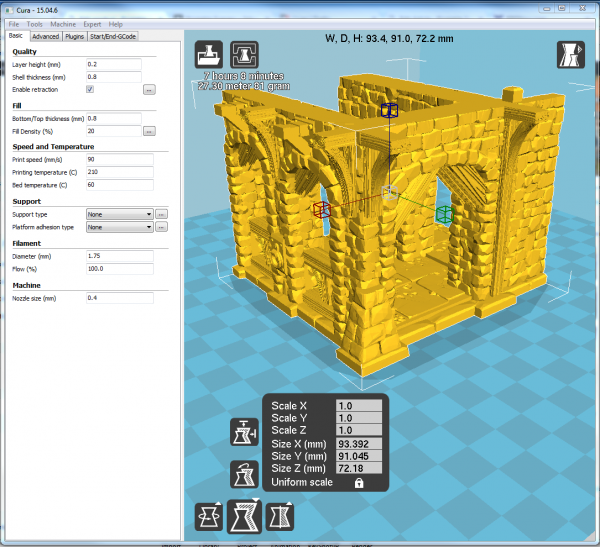 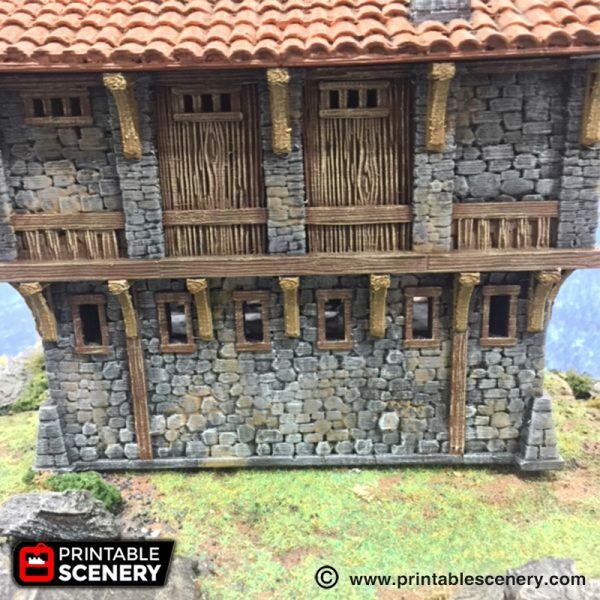 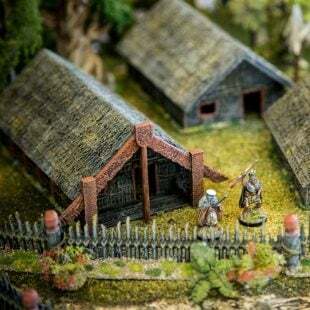 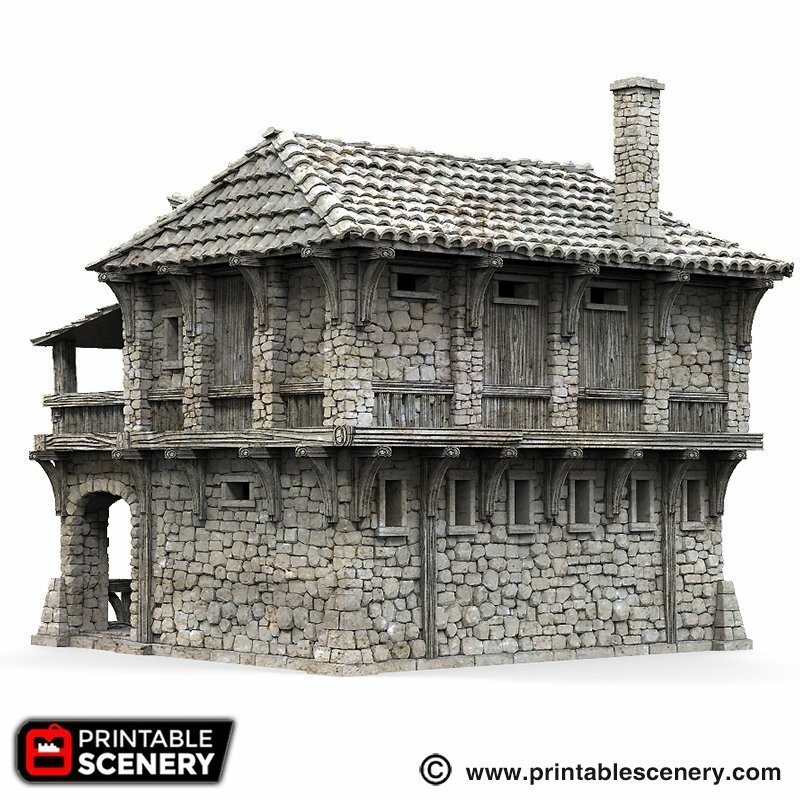 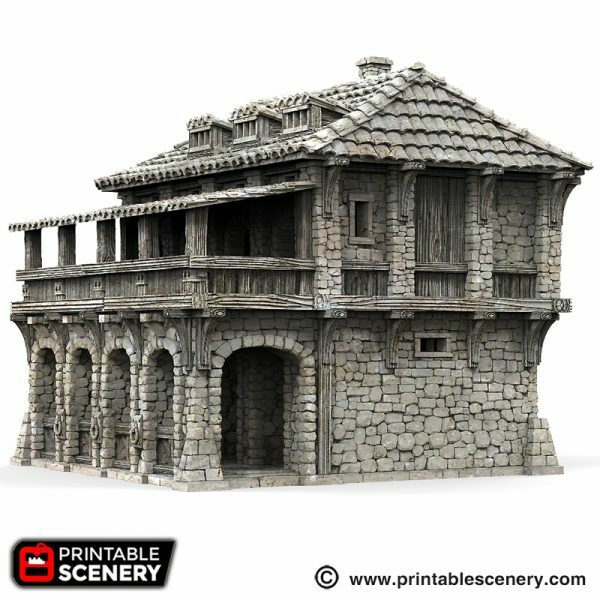 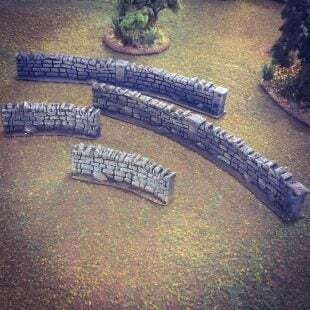 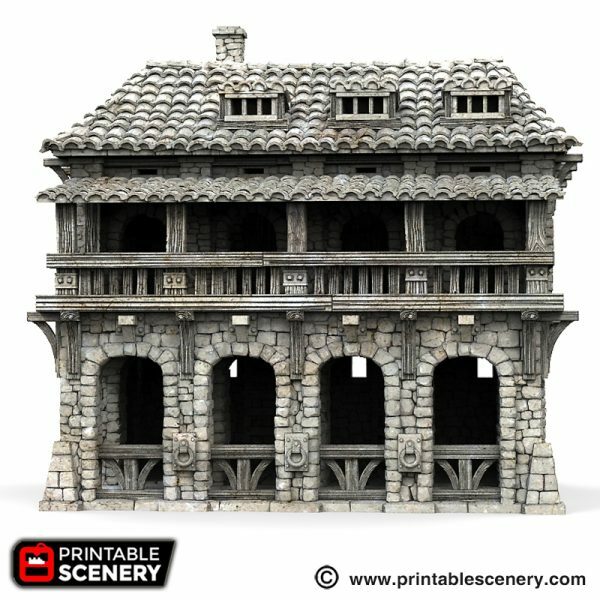 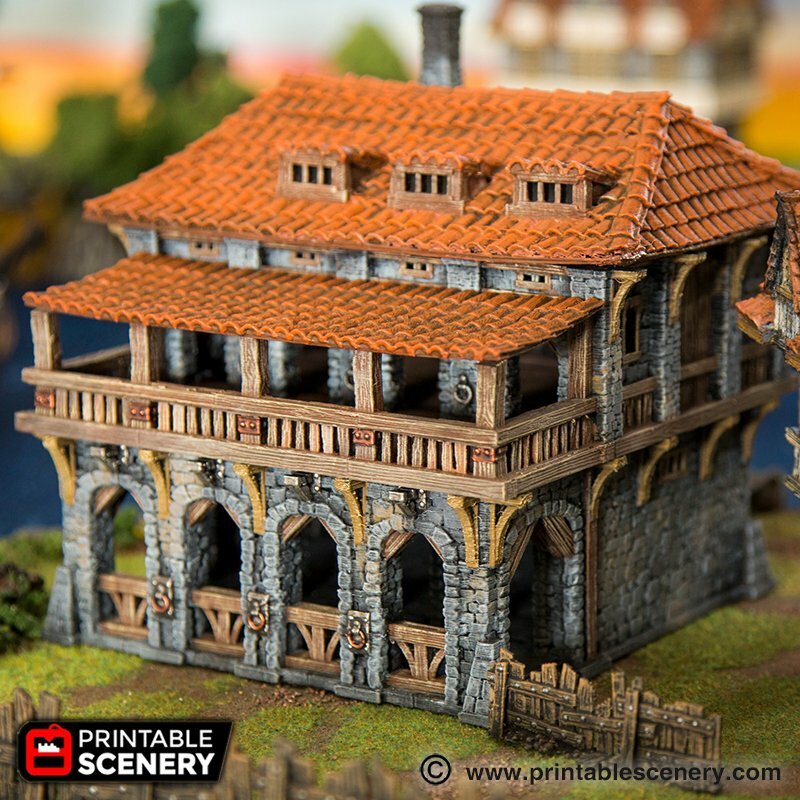 The Warehouse is ideal for either fantasy or historical settings, and will print without supports, in three large sections. There is an option with smaller parts for smaller printers. 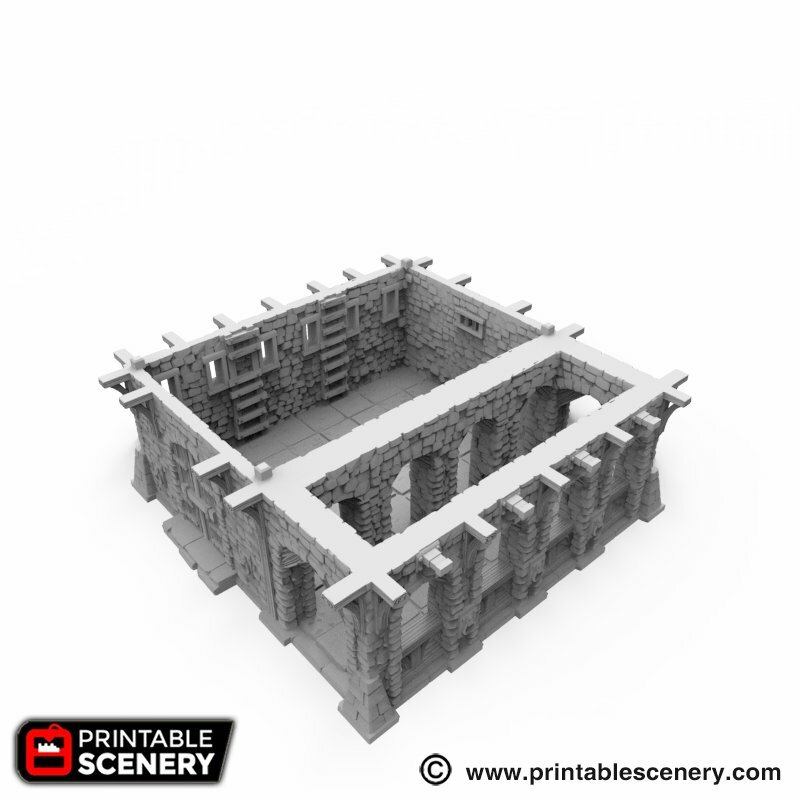 For extra flexibility, this has been designed to be compatible with The Ruined Warehouse, so that parts of the warehouse can be switched out mid-game, to visually represent damage. 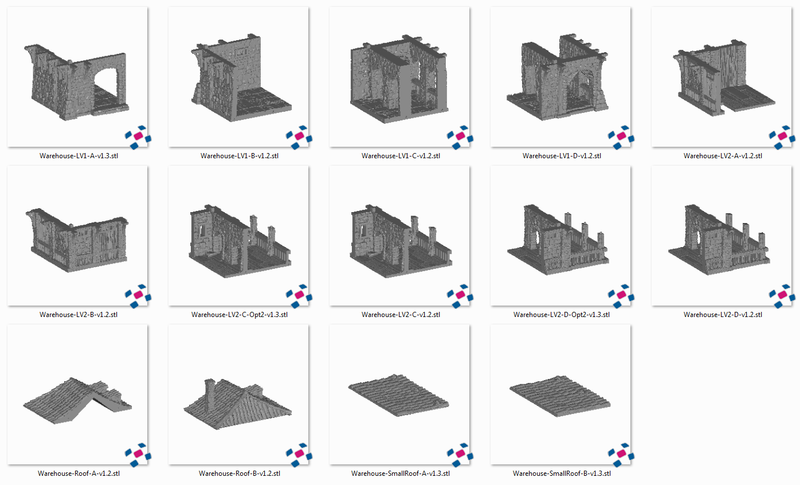 16 May 2018 – 1.3 The Ware house has been up scaled by 10% to fit more in line with the other Port Winterdale buildings. 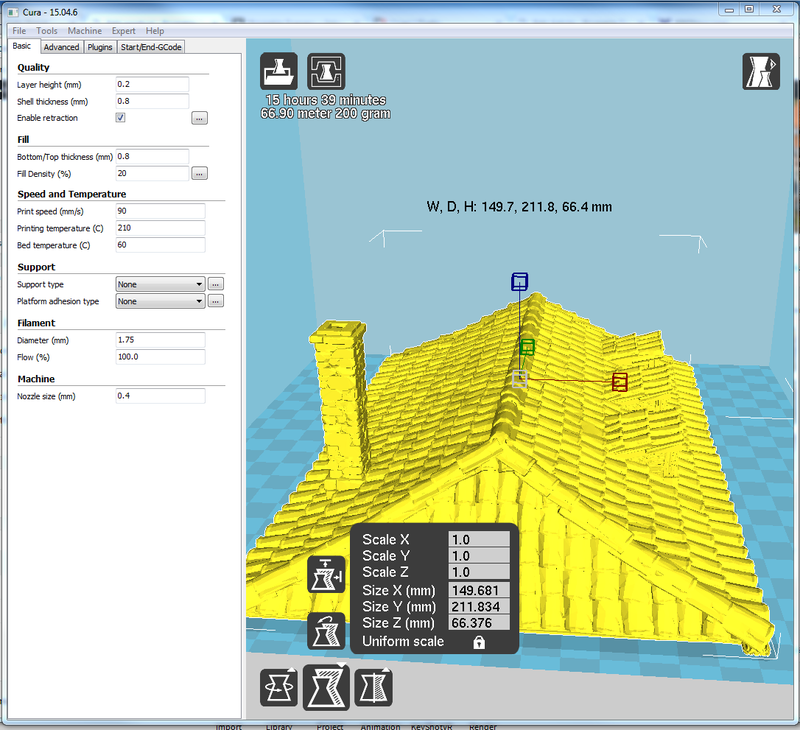 6 June 2018 – 1.4 Another cut roof option added. 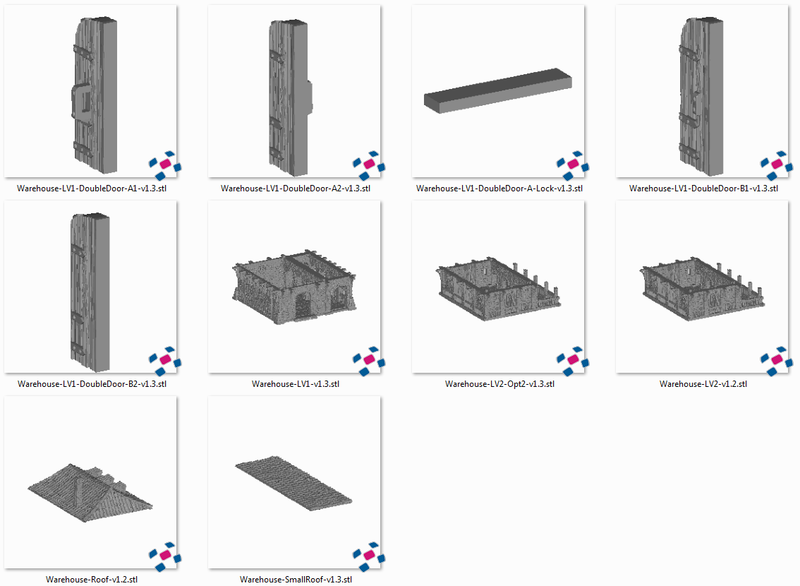 16 April 2019 – 1.5 Two filament door options added. 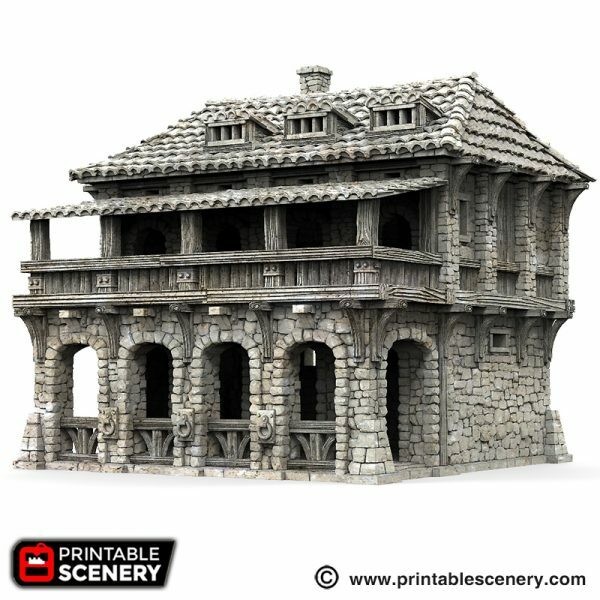 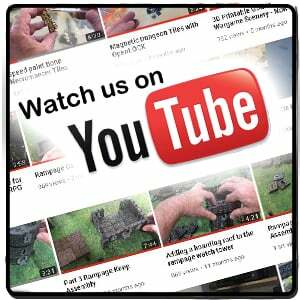 Please check the product images for size and print times. 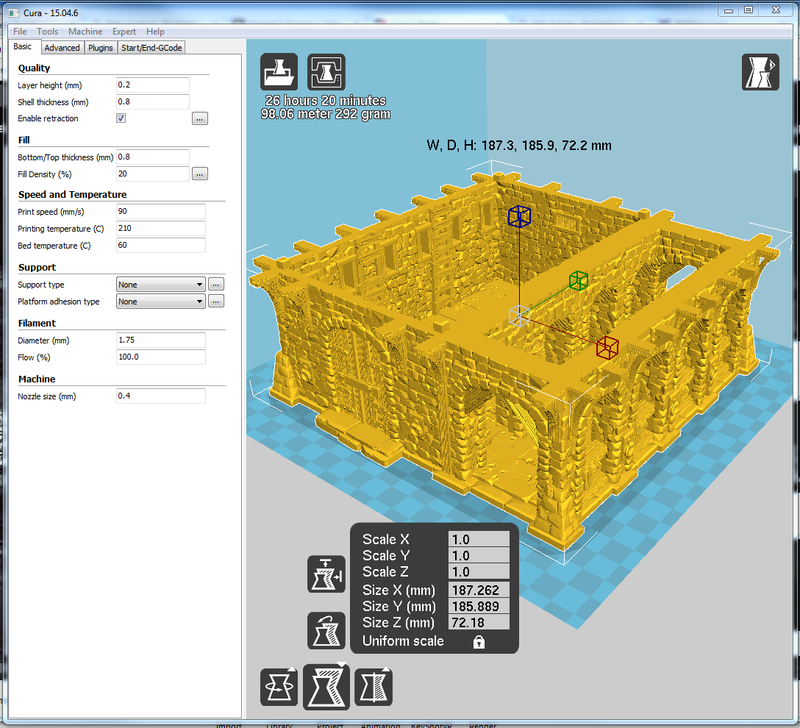 LV2 1.1 is designed to be glued together. LV2 Opt2 1.2 has small locking pins the hold the ‘SmallRoof’ in place. Will there be an option for the small roof to not have the nubs on the top from the posts below it? 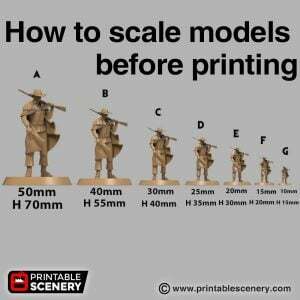 Or was that the only way to get that system to work? Curious why there isn’t an option for a moveable door like many of the other lost island buildings? 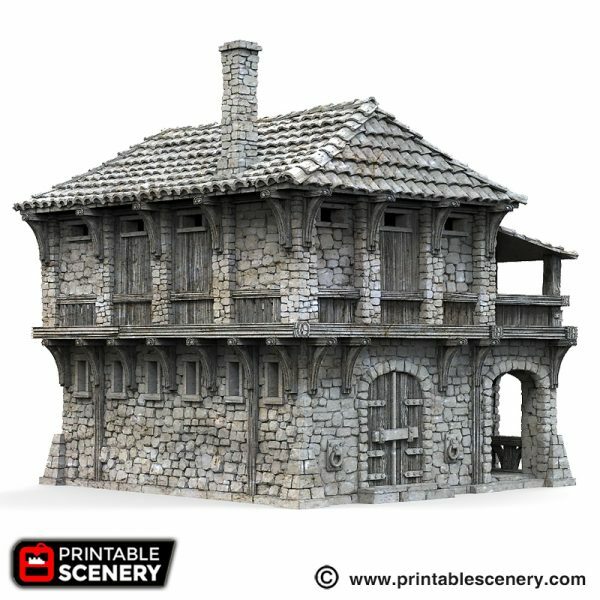 We’ve added this to get updated.